This educational event is designed to help CIOs, document management experts and electronic content policy-makers come to grips with ISO-standardized PDF technology. With special focus on archiving and accessibility, PDF Day Australia is a unique opportunity for those in the Asia / Pacific region to engage with the world's leading PDF technology experts on a broad range of subjects. Hosted by ISO 32000 committee co-chairman Peter Wyatt of Australia's CiSRA and Matt Kuznicki, Chairman of the PDF Association, this event offers strategic perspective on what PDF is, where it's going and how organisations can better leverage the technology to solve business problems. Comprising 17 sessions in 2 tracks, PDF Day Australia is packed with practical, actionable information for CIOs, CTOs, regulators, ICT leaders, archivists and accessibility experts. All sessions are educational, not sales pitches, and are reviewed by the PDF Association's Program Committee for quality and appropriateness of content. Leonard Rosenthol, Adobe Systems PDF and HTML: can't we all get along? A traditional opening session at PDF technology conferences, we begin with a fun, fast-paced summary of each of the major ISO standards for PDF technology, PDF/X, PDF/A, PDF/UA, PDF/E, PDF/VT and of course, ISO 32000 (PDF) itself. This is the short version - under two minutes per ISO standard, guaranteed! Each Gold and Silver sponsor gets just a couple of minutes to explain what they do. The ISO Project Leader for ISO 19005 (PDF/A) explains the origins and discusses the functionality and significance of the world's chosen final-form electronic document format. The session will also include a look forwards to what's coming in PDF/A-4. As ubiquitous as PDF files have become, so too have different systems for viewing and working with PDF files. This session will review the current state of PDF support: what reliably works across different systems and devices, what should be avoided, and what might not work as expected. The session will also discuss how this technology may be extended towards validation of other PDF standards. PDF/A-3 makes just one change compared to PDF/A-2: PDF/A-3 allows the embedding of any type of file while requiring a declaration of the semantic relationship between the attached file and the "container" PDF/A-3 document. The possibilities for workflows are profound, as ZUGFeRD alone shows. This session explores PDF/A-3's significance to digital archiving. As a means of packaging an authoritative, archival-quality rendering with associated machine-readable data or other content, PDF/A-3 enables new ways of thinking about sharing and using electronic documents. One of the two Project Leaders of the ISO committee developing ISO 32000-2 (PDF 2.0) will provide an overview of the enhancements, additions, deprecations, clarifications and other changes in the first fully post-Adobe specification for PDF, and what these changes mean for those working with electronic documents. This session reviews uses for 3D data in the PDF context and discusses the limitless future of 3D-enabled electronic documents. From aerospace to manufacturing, from civil engineering to training and documentation, the ISO Project Leader of the soon-to-be published part 2 of the PDF/Engineering specification disucsses the introduction of interactive 3D to the world of fixed-layout portable - and archivable - documents. As prepress went more and more digital twenty years ago the need for a standardized all digital approach to printing data preparation and print file exchange became apparent. This need was successfully addressed by the PDF/X standard, with its first version published as PDF/X-1a in 2001. As technologies matured, additional version of the PDF/X standard followed. Currently PDF/X-4 and PDF/X-5 are the latest versions, but PDF/X-6 is already looming around the corner. At the same time the recent trend towards digital printing processes increases the pressure on getting print file preparation right in an efficient manner, especially with regard to an ever growing variety of substrates, inks and multi-ink output systems. Document scanning is familiar to records-managers, but many systems are still TIFF or even paper-based and don't yet leverage the power of PDF, or more specifically, PDF/A, to provide archival solutions for electronic documents including those produced from scanning systems. From enterprise requirements to mobile capture, this session will focus on the advantages PDF/A brings to capture processes across many types of workflows. PDF and HTML – can’t we all just get along? As organisations have tried to develop their approach to ensuring all their digital content is accessible, many have made extreme – and too often, ill-considered - decisions. The war of HTML vs. PDF vs. Source Format Accessibility has gotten out of control. Too many organisations and government agencies have made unidirectional choices which are expensive, unsustainable, and don’t actually deliver content the way that people expect. Based on the experience of working with the Accessibility for Ontarians with Disabilities Act (AODA), the most sweeping accessibility legislation in the world, this session will explore how these decisions have impacted the overall accessibility of content, and how they reduce accessibility in government and industry. This session explains the challenges and opportunities PDF presents to accessibility, the means by which PDF documents are made accessible and the role of PDF/UA. Additionally this session provides a preview of tagged PDF in the forthcoming PDF 2.0, and what that means for PDF/UA-2. Who is responsible for making accessible documents, the author or the software developer? How do their responsibilities break down? Do decision-makers need to understand PDF/UA? What do organizations need to do beyond buying PDF/UA software? Do they need training in both WCAG 2.0 and PDF/UA? This session provides the background for addressing these questions on an organizational and use-case basis. Accessible PDF starts from a very different place than HTML. HTML content is ordered and tagged "naturally" - the main concern is ensuring that styling doesn't alter the semantics. PDF, on the other hand, is a picture of a page - ordering and tagging the content is our first concern. This session will help attendees understand what's critical to PDF accessibility, and the keys to efficient production of accessible PDF files across the organization's document production systems. Brisbane-based NV access has developed NVDA into the world's favorite open source screen reader for Windows. NVDA is highly capable with respect to PDF files, but it doesn't yet support all aspects of tagged PDF. Two blind developers can't do it all - they need the commercial software developers to do their part. In this session, Jamie will talk about what NVDA can do today, what it can't, and hopes for the APIs of the future that will allow NVDA to present all the semantic choices possible in PDF files to visually-impaired users. NOTE: Any proceeds beyond expenses raised by this event will be donated to NV access to help them further develop NVDA's support for accessible PDF. Making your documents PDF/UA compliant opens up access to documents for more of the population, and now it’s required by law in an increasing number of areas. This talk will cover the accessibility features of PDF, focusing on how real life organizations and people use and benefit from this technology. The differences between structure elements in PDF and HTML's tags are subtle, but worth understanding, as they reveal part of what makes PDF uniquely capable of representing real-world documents to impaired users. PDF 2.0 enhances PDF accessibility in many ways. This session will touch on ActualText, List elements, discontinuous content, heading level 7 and other quirks of accessible PDF that make it an extremely flexible accessible format. Document accessibility experts take your questions. Adam Spencer is the Head of Document Accessibility Services for Accessibil-IT Inc, the global leader in PDF accessibility services. As an active member on a number of ISO Committees for PDF and PDF accessibility, Adam is also an active contributor to the development of the new international standards including PDF/UA to ensure the accessibility and usability of PDF and adaptive technologies. Boris Doubrov is a CEO of Dual Lab, a member of the veraPDF consortium implementing an open-source PDF/A validation tool under the EU-funded PREFORMA project. He participates in ISO standards development for PDF Technologies via the PDF Association. Boris holds a PhD in Mathematics from the Catholic University of Leuven, Belgium and has been working for more than 15 years in PDF technologies as a software developer, project manager and business owner. Ferass Elrayes leads software development for NetCentric Technologies and represents Canada at ISO TC 171 meetings on the ISO 14289 (PDF/UA), ISO 32000 (PDF) and ISO 19005 (PDF/A) Committees and is the Chair of the Canadian Advisory Committee (CAC) on TC171 and TC 171/SC2. Ferass has spent over 15 years as a software architect, line developer and project leader. First outside Adobe Systems to develop PDF accessibility technology, Ferass is the architect of NetCentric’s products including CommonLook Office, CommonLook PDF and CommonLook Clarity. Together with Michael Curran, James Teh is NV access, Together these two fully blind men founded their not-for-profit organisation in 2006 to support the development of the NVDA screen reader. NVDA is open source software, which means the code is accessible to anyone. This enables translators and developers around the world to continually contribute to its expansion and improvement. NVDA has been translated by volunteers into more than 43 languages, is used by people in more than 120 countries and has won multiple awards. Through their work on NVDA, Michael and James have gained extensive expertise in software accessibility. Through their relationships with companies such as Mozilla, Microsoft, IBM, Adobe and Yahoo!, they have contributed to the accessibility of many commercial products. Leonard Rosenthol is a Principal Scientist and the PDF Architect for Adobe Systems, having been involved with PDF technology for more than 15 years. Prior to re-joining Adobe in 2006, Leonard worked as the Director of Software Development for Appligent, and the Chief Innovation Officer for Apago, while also running the successful consulting business of PDF Sages. Before becoming involved in PDF, Leonard was the Director of Advanced Technology for Aladdin Systems and responsible for the development of the StuffIt line of products. Matthew Hardy is a Senior Engineering Manager at Adobe. He has worked with the Portable Document Format for over 17 years, completing his PhD in topics involving Tagged PDF. He manages the Accessibility team for the Adobe Document Cloud Mobile organization and currently acts a Standards Representative for Adobe. He is involved with PDF standards development including PDF (ISO 32000), PDF/A, PDF/E, PDF/UA, PRC and XFDF. The Chief Technical Officer of Datalogics and current Chairman of the Board of the PDF Association, Matt has been actively involved with PDF products and technologies since 2000. He is a recognized expert in technical PDF and imaging matters and an active participant in PDF standards activities as well as the application of PDF and other document technologies to solve a variety of business problems. Olaf Drümmer is founder and managing director of callas software, a Berlin/Germany based company specializing in PDF analysis and processing. In addition, he is founder and managing director of axaio software developing software extensions for document accessibility from within Adobe InDesign and print output automation tools for Adobe InDesign, Adobe InCopy, Adobe Illustrator, QuarkXPress, QuarkCopyDesk, Quark Publishing Platform (QPP), WoodWing Enterprise and vjoon K4. Having first been involved in the development of PDF related standards in 1999, he has since actively participated in the development of the PDF/X (ISO 15930), PDF/A (ISO 19005), PDF/E (ISO 24517), PDF/UA (ISO 14289) and PPML/VDX resp. PDF/VT (ISO 16612) standards series, as well as the PDF standard itself (ISO 32000). callas software was among the first vendors to offer support for PDF/X and PDF/A. Olaf Drümmer is also Chairman of the European Color Initiative (ECI). An engineer and computer scientist by training, Peter Wyatt is R&D General Manager at Canon Information Systems Research Australia (CiSRA), and is one of two ISO Project Leaders for ISO 32000, the PDF specification. He has watched the PDF specification evolve into the ubiquitous and advanced format it is today, and has developed PDF technologies from low-cost embedded to modern cloud and mobile platforms. Peter’s current role is to oversee research and development of printing, display rendering and document format technologies at CiSRA. His global experience provides in-depth technical expertise on the issues that a reliable, vendor-neutral and implementation-independent electronic document format must resolve for all consumers and businesses. 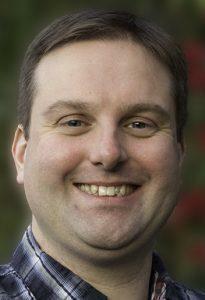 Raf Hens is the Director of Engineering for iText and has been an integral part of iText's success. Raf has been able to help guide PDF technology both internally at iText by leading product roadmaps and externally as a member of both the ISO Committee and PDF Association. When he is not developing, Raf spends much of his time with his wife and two daughters. Rowan Hanna is VP of SDK Products and Solutions at Foxit Software. He has been working in the PDF software industry for 15 years -- beginning at Nitro PDF, then co-founding Debenu and subsequently joining Foxit through acquisition -- with broad experience derived from working in a range of roles from customer service and sales to product development and management, he has a unique insight into customer needs. In his current role Rowan is growing and renewing Foxit's range of SDK products and solutions.